But, with climate changes that are bringing us ever bigger and stronger storms, floods, and other natural disasters, will “building back better” ever be enough? Right now, 6 months after Typhoon Haiyan (known locally as Yolanda), thousands of people are still living under tarpaulins and in tents, or in the partial rubble of their homes, and with typhoon season fast approaching, they are very, very vulnerable. It would take a typhoon only 1/3 of the strength of Yolanda to kill a similar number of people, due to their increased vulnerability and poor stability of their homes. So much of the debris and rubble has been cleared, (as this 6-month on panoramic photo shows), but where was it cleared to? In many areas there are still large piles of debris, twisted and crumpled metal piled high on the outskirts of towns, and in another typhoon, imagine the damage that all that debris could cause if it were swept up by the wind and hurled around these already-fragile communities? And although Yolanda was a super-typhoon, the likes of which the world has never seen before, we know it won’t be the last. This was a typhoon with winds strong enough to knock down stadiums. Can we ever really hope to build individual homes for people that are strong enough to withstand something of that magnitude when the next super-typhoon comes around? And if not, then what is the alternative? As one of my colleagues pondered, maybe we need a whole new shift in our mindset when it comes to disaster-prone countries like the Philippines, which sees regular typhoons, floods, and earthquakes year after year. What if, rather than building back better and stronger, we adopted an approach that focuses on progressive collapse? An acceptance that we will never be able to provide these people with homes that can withstand 300km/hour winds, but we could design and engineer houses that collapse more safely, and in a way that they can be reconstructed again faster and more cheaply. For example, if you were able to quickly and easily dismantle the CGI sheets from your roof and store them safely somewhere before a hurricane, and then put them back up again as soon as the storm has passed, you would be in a position to recover by yourself a whole lot faster. Houses could be designed and engineered to collapse safely if necessary, to fall a certain way, or with minimal damage to the beams and posts, so that the remains can be salvaged for you to rebuild with the next day. Using glass in windows that won’t explode and cause injuries to people, but breaks safely, as we already see in most cars nowadays. The majority of injuries and fatalities from storms like these are caused by flying debris, and there are ways to ensure that those risks are reduced. Now of course this is merely a conceptual idea – people would need strong, safe evacuation centers to go to if they knew their houses was likely to collapse in a typhoon, and there would a myriad of safety concerns, and a need for a number of engineering tests and research to see what models would work and what wouldn’t. But crucially it involves a shift in mindset for the humanitarian and development world in the way that we think about resilience, (another of our favourite buzzwords). It would require NGOs to accept that we can’t adequately prepare people to withstand natural disasters on these scales, and find alternative ways to mitigate against it, rather than continuing to provide relief and aid after natural disasters that we know are coming, and will continue to get worse. If I had to choose a metaphor for resilience and this new alternative approach to building back better, I would use this rather clumsy one. 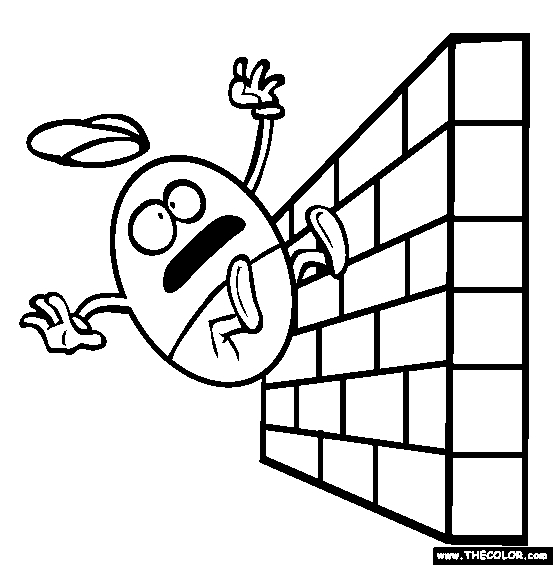 NGOs are all busy trying to figure out how to stop Humpty Dumpty from falling off the wall in the next disaster. But what if we were to accept that he is going to keep on falling down no matter what we do, and instead try to find a way to make sure that next time he falls, he can put himself back together? All very theoretical and hypothetical, but some very interesting food for thought….